Yes, I know this has been slowly making its way around the net this week and when I first saw ti I wasn’t too excited about it. But then I took a little while and actually checked it out- it is kind of useful and definitely worth peeking at, especially if you are in New York, and get this, it even has some information on the boroughs. Basically it is yet another Google map mash-up, but this one has implications beyond locating your favorite site in the Ghost Busters movies. 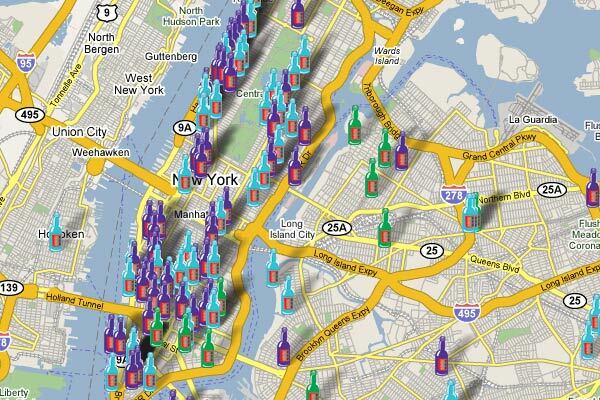 This map mashes up New York with prices for Milk, Lettuce and a six-pack of Beer. The project was conducted by the Brian Lehrer listeners of his WNYC radio show and the results are up on the WNYC website where you can find the cheapest places in your neighborhood to pick up any of those items. Some surprises, others, not so much.